The Intelligent Control Systems Laboratory (ICSL) at Georgia Tech is the campus center for research and academic studies in intelligent systems, intelligent control of industrial processes, fault diagnosis and failure prognosis of complex engineering systems, neuro-technology, cardio-technology and sleep research, and unmanned aerial vehicles (UAVs). It is directed by Dr. George Vachtsevanos, who is currently Professor Emeritus at Georgia Tech and served as the Chief Scientist of Impact Technologies, LLC. The underlying philosophy of the research activities carried out in the lab is the effective integration of analytical and intelligent tools towards the development of new and innovative identification and control strategies for complex dynamic systems. Most large-scale engineered dynamic systems exhibit such attributes as unmodeled dynamics, large-grained uncertainty, and incomplete knowledge of key parameter values. Conventional systems and control methodologies are usually inadequate to successfully address difficult and ill-defined situations. Artificial intelligence techniques, on the other hand, lack the mathematical rigor required to apply and validate such techniques to complex engineered systems. We capitalize on the beneficial aspects of both approaches to synergistically design algorithms that can be shown to perform according to accepted performance standards. For example, we may use fuzzy logic and an expert system paradigm to set the control rules for a particular process while, at the same time applying stability criteria and optimality conditions to ascertain that the closed-loop system is meeting performance objectives. Although our research is focused on theoretical concepts, it has a strong application orientation and invariably leads to “products” that find a home in the world outside the lab. Finally, the approach that we are pursuing is both thorough and complete. Thus, we address not only the development of algorithmic tools, but also the implementation issues. We seek to design hardware and software platforms for intelligent identification and control that can efficiently and robustly realize these tools in a real-time on-line environment. The laboratory’s research initiatives are currently sponsored by both industry and government agencies. The hybrid analytical/intelligent philosophy is recognized to be the new frontier for the development of sophisticated systems tools that are required to meet the challenges posed by complex engineering problems. We believe that we are expanding this frontier and setting the pace for the development of new and exciting technologies. 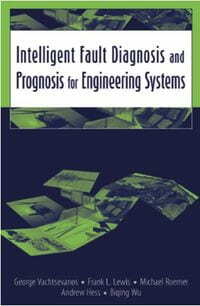 Intelligent Fault Diagnosis and Prognosis for Engineering Systems gives a complete presentation of basic essentials of fault diagnosis and failure prognosis, and takes a look at the cutting-edge discipline of intelligent fault diagnosis and failure prognosis technologies for condition-based maintenance. For more information about this book click here. Dr. George Vachtsevanos is directing the Intelligent Control Systems laboratory at Georgia Tech where faculty and students began research in diagnostics in 1985 with a series of projects in collaboration with Boeing Aerospace Company funded by NASA and aimed at the development of fuzzy logic based algorithms for fault diagnosis and control of major space station subsystems. The algorithmic developments were implemented and successfully demonstrated by Boeing on scaled models of the space station. Under sponsorship by ONR, the same research team developed fault-tolerant control systems for a turbojet engine; this effort included new diagnostic software that was tested successfully on a laboratory engine. Dr. Vachtsevanos has been developing since 1994 vision-based defect detection algorithms for the textile industry under a series of grants from the National Textile Center. The enabling technologies include wavelet neural networks and fuzzy logic. The patented technology has been licensed by a commercial firm and is currently being marketed to the textile industry. The Manufacturing Research Center at Georgia Tech supported his work in failure detection of surface mount components in the electronics manufacturing arena. Generic aspects of the diagnostic/prognostic technologies have been under development with a series of funded projects in EEG classification and epileptic seizure prediction conducted in collaboration with the Medical College of Georgia and Emory’s School of Medicine. They assisted General Electric towards the prediction of Gas Turbine Nox emissions using polynomial neural networks under a contract with GE in the 1994-95 time frame. More recently, Dr. Vachtsevanos and his research team at Georgia Tech have been involved in the following major programs: the first one is the ONR CBM program with Honeywell Technology Center the prime contractor. 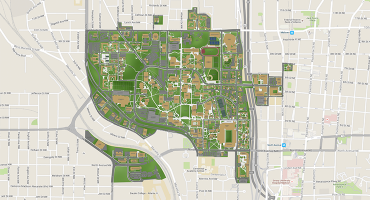 Georgia Tech developed and implemented the fuzzy logic and wavelet neural network diagnostic and prognostic algorithms. The system was installed on a Navy ship and under went testing for several years. The research team has also participated in the MURI Integrated Diagnostics program at Georgia Tech where they contributed in the detection of micro-cracks using a Magnetic-Electric Impedance Tomography technique. Dr. Vachtsevanos is currently directing a research team engaged in the development, testing and implementation of software enabled controls for autonomous unmanned vehicles. This effort is sponsored by DARPA and involves diagnostic/prognostic technologies as part of the fault-tolerant control routines under development. The Army Research Office has supported an effort towards the development of an Autonomous Scout Rotorcraft Testbed that incorporated a health monitoring module. This task was successfully completed and demonstrated to the sponsor. Under NSWC funded SBIR Phase I and II program “Prognostic Enhancements to Diagnostic Systems (PEDS)” the Georgia Tech team is developing prognostic algorithms for HVAC chiller systems that will interface with the USN Diagnostic ICAS Platform. The U.S. Army’s ADIP program sponsored an R&D activity to explore embedded diagnostic platforms for army vehicles such as the PLS. A diagnostic architecture has been defined, fault data assembled at the Yuma proving ground were analyzed and a testing program has been established to assist in the development of the at-platform embedded diagnostic capability. Dr. Vachtsevanos is currently serving as a “trusted advisor” to the AAAV prognostic program supporting General Dynamics in the development of vehicle requirements definition, prognostics system performance metrics, identification, prioritization and requirements of all potential prognostics information customers while assisting GD in the development of source selection criteria and serving on the prognostics system source selection committee. The Georgia Tech research team is participating with industry partners in two DARPA funded programs: the first one involves the development of a software simulation Test Bench focused on the design, development and implementation of Automated Contingency Management technologies for autonomous vehicle/mission command and control. The second relates to the development of a autonomous health management supervisor architecture with a modeling paradigm that can be applied to various air/ground, manned/unmanned vehicle platforms. In collaboration with the Georgia Tech Research Institute, we are exploring the development of prognostic models for advanced power generation systems under ONR sponsorship. More recently, the research team has been participating in two major prognosis programs sponsored by DARPA. The first one is addressing the development of prognostic technologies for critical gearbox components and is conducted jointly with the Northrop Grumman Corporation, Sikorsky and Navair and involves seeded fault testing and analysis/fault prognosis for planetary gear plate. The second is conducted jointly with Pratt and Whitney and concerns the application of prognostic algorithms to engine disk and blade fault modes. For both programs, novel model-based and adaptation/learning algorithms are used to determine fault detection thresholds and predict the remaining useful like. The Georgia Tech research team has been awarded a contract by General Motors Corporation to investigate and develop fault diagnosis and prognosis technologies for automotive electrical systems (battery, alternator, load and interfacing apparatus). Novel modeling and data processing fault diagnosis and prognosis algorithms are underdevelopment for electrical systems. Georgia Tech faculty and GTRI researchers have been developing new model-based prognostic technologies for the helicopters Intermediate Gearbox and Oil Cooler failure modes under sponsorship by the Academic Consortium for Aging Aircraft (ACCA) program. Innovative technologies include a Model Based Reasoning (MBR) approach to fault diagnosis and fault propagation of individual aircraft components and a Bayesian estimation methodology particle filtering to prognosis of the remaining useful like of a failing component. Georgia Tech has been actively collaborating with a number of small firms in the development and application of CBM technologies with support from SBIR programs. Specifically, automated contingency management techniques, diagnostics/prognostics for naval machinery spaces, sensor fusion and feature extraction methods have been under development to assist our small business partners. Of special interest is a program titled Integrated System-Theoretic and software Enabled Strategies for Embedded Smart Sensors in Hybrid Systems under NSF sponsorship investigating the development of analytical techniques for optimum sensor placement, networking and sensor processing. This effort is addressing an important CBM concern, i.e. how do we determine the minimum number, type and location of sensors required to monitor complex systems for fault diagnosis. His research work has been supported over the years by NASA, ARL and ARO, AED, ONR, NSWC, the MURI Integrated Diagnostic program at Georgia Tech, the U,S. Army’s Advanced Diagnostic program, General Dynamics, General Motors Corporation, the Academic Consortium for Aging Aircraft program, the U.S. Air Force Space Command, Bell Helicopter, Fairchild Controls, among others. The innovative technologies have relied on both data-driven and model-based algorithms from the domains of soft computing, Dempster-Shafer theory, Bayesian estimation techniques with emphasis on particle filtering and physics-based modeling architectures. The research team is currently exploring novel techniques for Verification and Validation of engineering systems, reasoning paradigms, an integrating framework that exhibits attributes of flexibility, modularity and interoperability. The research team has been developing novel fault-tolerant control technologies that exploit prognostic information and are applied to such critical assets as aircraft, spacecraft and autonomous systems. The application domains range from automotive electrical storage and distribution systems, to high power amplifiers, environmental control systems, and critical engine and drive system aircraft components. Dr. Vachtsevanos has developed and has been administering an intensive four-day short course on “Fault Diagnostics/Prognostics for Equipment Reliability and Health Maintenance”. This unique offering has been attended on-site by Lockheed Martin technical personnel engaged in the JSF and F-22 programs, Boeing engineers involved in the UCAV program and General Dynamics personnel addressing prognostic issues for the AAAV effort. Public offerings of the same course are attended by engineers and managers from government and industry. It should be pointed out that other R&D activities at Georgia Tech under Dr. Vachtsevanos’ direction have contributed towards the development of a strong theoretical and applied infrastructure leading to diagnostics and prognostics of complex systems. For example, work in intelligent systems, sensor fusion and neuro-fuzzy control has provided some basic elements in the development of a CBM architecture. He is a board member of the Prognostics and Health Management Society. He has published over 300 technical papers and is the recipient of the 2002-2003 Georgia Tech School of ECE Distinguished Professor Award and the 2003-2004 Georgia Institute of Technology Outstanding Interdisciplinary Activities Award. His research team has been awarded numerous awards for its technical presentations at professional conferences. He is the lead author of a book on Intelligent Fault Diagnosis and Prognosis for Engineering Systems published by Wiley in 2006. Brown, D., Georgoulas, G., Bole, B., Pei, H.-L., Orchard, M., Tang, L., Saha, B., Saxena, A., Goebel, K., and Vachtsevanos, G., “Prognostics enhanced reconfigurable control of electro-mechanical actuators,” in Proceedings of 2nd International Conference on Prognostics and Health Management (PHM), San Diego, CA, USA, September 27 – October 1 2009. Zhang, B., Khawaja, T., Patrick, R., Vachtsevanos, G., Orchard, M., and Saxena, A., “Application of blind deconvolution denoising in failure prognosis”, IEEE Transactions on Instrumentation and Measurement, Vol. 58, No. 2, pp. 303-310, February 2009. Zhang, B., Khawaja, T., Patrick, R., Vachtsevanos, G., Orchard, M., and Saxena, A., “A novel blind deconvolution de-noising scheme in failure prognosis,” Transactions of the Institute of Measurement and Control 32, 1, pp. 3-30, 2010. Orchard, M., Tobar, F., and Vachtsevanos, G., “Outer Feedback Correction Loops in Particle Filtering-based Prognostic Algorithms: Statistical Performance Comparison,” Studies in Informatics and Control, Informatics and Control Publications, Volume 18, Issue 4, pp. 295-304, 2009. Abbas, M., and Vachtsevanos, G., “A Hierarchical Framework for Fault Propagation Analysis in Complex Systems,” in Proceedings of 2009 IEEE Autotestcon, September 2009. IEEE Instrumentations & Measurements, vol. 10, pp. 20–26, August 2007. M. Orchard, F. Tobar, and G. Vachtsevanos. Outer Feedback Correction Loops in Particle Filtering-based Prognostic Algorithms: Statistical Performance Comparison. Studies in Informatics and Control, 18(4):295–304, 2009. M. Orchard and G. Vachtsevanos. A Particle Filtering Approach for On-Line Fault Diagnosis and Failure Prognosis. Transactions of the Institute of Measurement and Control, 31(3-4):221–246, 2009. B. Zhang, T. Khawaja, R. Patrick, G. Vachtsevanos, M. Orchard, and A. Saxena. Application of Blind Deconvolution Denoising in Failure Prognosis. IEEE Transactions on Instrumentation and Measurement, 58(2):303–310, 2009. B. Zhang, T. Khawaja, R. Patrick, G. Vachtsevanos, M. Orchard, and A. Saxena. A Novel Blind Deconvolution De-Noising Scheme in Failure Prognosis. Transactions of the Institute of Measurement and Control, 32(1):3–30, 2010. Brown, D, et al., “Prognostics Enhanced Reconfigurable Control of Electro-Mechanical Actuators.” 2nd International Conference on Prognostics and Health Management (PHM), 2009, pp. 1-17. Orchard, Marcos., A particle-filtering based framework for on-line fault diagnosis and failure prognosis. School of Electrical and Computer Engineering, Georgia Institute of Technology. Atlanta, GA : s.n., 2007. Ph.D Dissertation. Bole, B., Tang., L., Goebel, K., Vachtsevanos, G., “Adaptive Load-Allocation for Prognosis-Based Risk Management”. Prognostics and Health Management Conference, 2011. Brown, D., Bole, B., and Vachtsevanos, G., “A prognostics enhanced reconfigurable control architecture,” in 18th Mediterranean Conference on Control and Automation, pp. 1061-1066, June 23-35 2010. Brown, D, Georgoulas, G., Bole, B., Pei, H.-L., Orchard, M., Tang, L., Saha, B., Saxena, A., Goebel, K., and Vachtsevanos, G., “Prognostics enhanced reconfigurable control of electro-mechanical actuators,” in 2nd International Conference on Prognostics and Health Management (PHM), (San Diego, CA, USA), September 27-October 2009. Edwards, D., Orchard, M., Tang, L., Goebel, K., Vachtsevanos, G., “Impact of Input Uncertainty on Failure Prognostic Algorithms: Extending the Remaining Useful Life of Nonlinear Systems”, Prognostics and Health Management Conference, 2010.